Voor een Guy Ritchie film vond ik het nogal mild, voor een Koning Arthur-vertelling vond ik het nogal ..Indiana Jones-achtig? Weinig gewaden en oud(klinkend) Engels in deze versie, het is meer lammy coats en een hoeveelheid aan “mate”. Geen zorgen, aan het verhaal is weinig veranderd, alleen heeft Arthur er deze keer wel érg weinig zin in. Gelukkig zijn er gigantische olifanten, magie, bijdehante bad guys en een boel (trippy) actiescènes om Arthur van gedachten te veranderen. Mate. Als je een avonturenfilm zonder enige coherentie nodig hebt, is King Arthur: Legend of the Sword een heel redelijk aanbod. Neem wel verlichting mee: de film bestaat alleen uit tinten grijs, groen en donkerblauw. It’s quite impressive how dull an action movie filled with huge monsters can be. First of all, it’s too long. Fifteen minute monologues and dialogues to explain what is going on and why we need to worry, while the introducing theme does that in a prettier way. Second, it’s very dark. Not grim, but just the colours used. Do huge monsters not like sunlight? Was it cheaper to half CGI a MUTO because it’s too dark to see the rest of it? The only pleasant surprise to all this is the role of Godzilla (which Netflix mentioned in its summary, shouldn’t that be spoiler-free? ), but by then not even huge monsters laying waste to San Francisco (of course it’s San Francisco) can’t even turn the tide. It’s all one big mwah. This movie can be used as an example in lessons on Marketing. Mainly, about how not to put something into the market. There were different titles, taglines that were exchanged with the title, trailers that wobbled on different genres and so on. Frankly, it’s a surprise that it didn’t even did really bad, although it’s probably not on the level of a Tom-Cruise-Film. It is a Tom-Cruise film, but for once he isn’t the super hero, at least not for starters. He pisses off the wrong person and is sent off to the front, to go fight aliens. Something goes spectacularly wrong (he doesn’t even has fighting experience) and he dies. And starts the day again. Private Cage is caught in a time loop, forced to live through the same day again and again until he takes out the alien alpha. 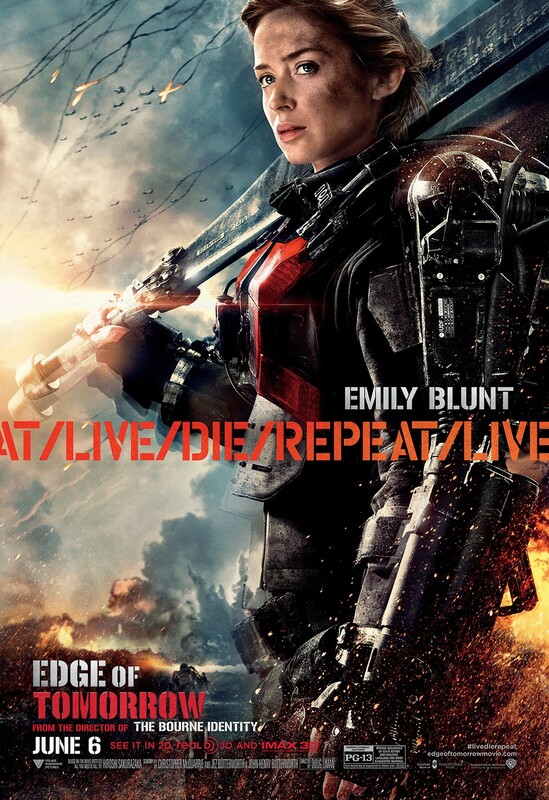 Emily Blunt’s character, Rita, is his mentor, an unapologetic killing machine, the strong yet silent character that’s usually only reserved for male actors. This film isn’t without flaws. Besides Rita there are only two other women with lines, for something inspired by a Japanese manga there weren’t a lot of not-white actors (and again, with little lines) and even though Tom Cruise plays the fool, he still ends up in the unlikely hero trope. But boy, is it exciting and a thrill. Lovely Saturday night entertainment. Regisseur Baz Luhrmann maakt geen films voor iedereen. Neutraal, ingetogen en bescheiden komen vast niet in zijn vocabulaire voor. Het is groot, luid, lang, dramatisch. Ik ben er fan van. Van Moulin Rouge (al jaren in de top 5 favoriete films) en Romeo + Juliet (waarom zou ik nog ander verfilmd werk van dit verhaal willen zien?) tot Australia (wel érg lang, maar zo mooi! en met Hugh Jackman). 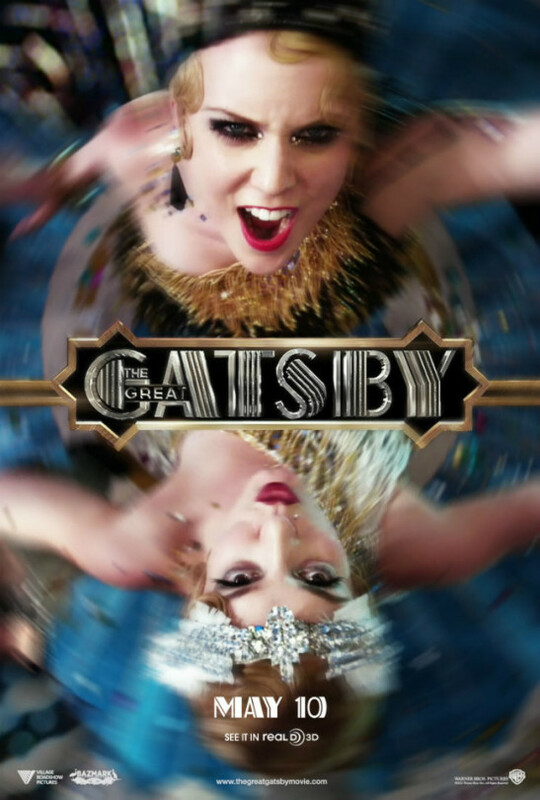 Ik wilde The Great Gatsby voor het Luhrmann spektakel zien. Het verhaal kende ik toch al. Het spektakel was er. In 3D zelfs (natuurlijk). De soundtrack bevestigde Luhrmann’s lust voor het mooie plaatje. Het probleem zat in de momenten wanneer er geen spektakel was om de aandacht vast te houden. Beige dialogen, het continue ‘Old Sport’ dat heel snel op de zenuwen ging werken en het gebrek aan ruggegraat in bijna elk karakter. Natuurlijk is dat ook F. Scott Fitzgerald’s schuld, maar had men misschien minder strict met zijn materiaal om kunnen gaan (dat ik dat ooit zou zeggen)? Misschien een evenwicht kunnen zoeken tussen BOOM KNAL BOOM en ademloos gebabbel? Of gewoon scherper gesneden in het gefilmde materiaal. Twee uur en een kwartier voor ‘Vind en Verlies de Liefde’ is wel veel. Toen ik de bioscoop verliet, bleef het decor en de muziek bij me. De mensen niet. I usually don’t watch films that share the plot in their title. It feels a bit like -as a viewer- you don’t have to go through any trouble anymore. Like you don’t need to invest your full attention to get to the climax because hey, you already know how it’s going to end. But in the name of my mini-mini western marathon (True Grit will follow), and simply because I was curious, I watched The Assassination. It showed me that knowing how the story ends doesn’t necessary has to be the most important part of a movie. Jesse James is a criminal. He robs banks and trains and moves through the country to prevent arrest. Jesse James is also a mysterious, charming man and Robert Ford is absolutely obsessed by everything he does. Yes, put this last sentence in a different context and you have a stalker story, one everyone knows how it will end. As the youngest brother, as the kid with nerves and little knowledge – Robert always gets the short end of the stick. No-one listens to him, no-one really sees him. And he so desperately wants to be seen. Jesse James probably knows this, picks up on the kicked puppy that is building a world around his personal life. But he doesn’t do anything about it. The Assassination of Jesse James by the Coward Robert Ford looks incredibly gorgeous. Especially the nature shots are worthy of a place on your wall, and the whole colour scheme and music make sure that you are pulled into this world. Watching it on a computer screen almost felt too modern. 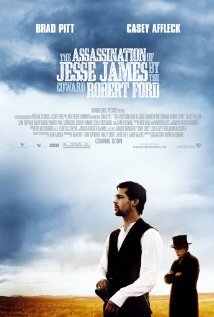 Casey Affleck (Robert Ford) shows how a 19-year-old’s imagination slowly starts running out of control while it’s a 100 percent understandable why people would follow the charm of Jesse James in the shape of Brad Pitt. James isn’t a hero, but he’s the meter other people are measured with. This isn’t a shoot ’em up western, the guns here are subordinate to words and glances. And (long) pauses, because this genre isn’t familiar for it’s speedy delivery. That’s something you have to think of before starting, else you might get fed up with The Assassination around three quarters. And that would be -for the gorgeousness alone- a shame.